Adam was named CEO of Encompass Health Rehabilitation Hospital of North Memphis, formerly HealthSouth-North, in February 2016. Adam was named CEO of Encompass Health Rehabilitation Hospital of North Memphis, formerly HealthSouth-North, in February 2016. He holds a Bachelor's Degree in Business Administration from the University of Mississippi and a Master's Degree in Health Services Administration from Mississippi College. Adam has served in multiple management and operational roles with Wells Fargo Financial, Pioneer Health Services and most recently as Associate Administrator at HealthSouth Rehabilitation Hospital of Altoona. His focus is on high quality patient care and excellent outcomes. Dr. Sullivan serves as the Medical Director of Encompass Health Rehabilitation Hospital of North Memphis, formerly HealthSouth Rehabilitation Hospital-North. Dr. Sullivan serves as the Medical Director of Encompass Health Rehabilitation Hospital of North Memphis, formerly HealthSouth Rehabilitation Hospital-North, and has been with the team for 10 years. He holds a Bachelor’s Degree from Miami University and a medical degree from the Ohio State University College of Medicine. He completed residency at the Tufts University/New England Medical Center in Boston, Massachusetts. 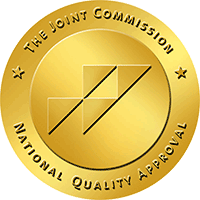 Dr. Sullivan is board certified by the American Board of Physical Medicine and Rehabilitation. He is also a diplomat of the American Academy of Physical Medicine and Rehabilitation and a fellow of the Physiatrist Association of Spine, Sports and Occupational Rehabilitation (PASSOR). Specializing in pain management and rehabilitation, he has 20 years of experience in his field. Donald J. Sullivan, M.D. is an independent private practice physician whose office is located at the hospital. Dr. Andrews joined Encompass Health in 2007 and serves as the Director of Pharmacy for both Memphis hospitals. Dr. Andrews joined Encompass Health in 2007 and serves as the Director of Pharmacy for both Memphis hospitals, Encompass Health Rehabilitation Hospital Memphis, formerly HealthSouth Rehabilitation Hospital of Memphis and Encompass Health Rehabilitation Hospital of North Memphis, formerly HealthSouth Rehabilitation Hospital - North. He attended Tennessee State University for undergraduate training and the University of Tennessee Health Science Center where he received his Doctorate of Pharmacy in 2001. Beginning his career as an Intern at a local pharmacy, he later became Managing Pharmacist and continued on to hospital practice a few years later. His practice experience includes retail pharmacy, neonatal intensive care, pediatric oncology, ambulatory care, and general hospital practice, all in Memphis, Tenn.
Tonya joined Encompass Health Rehabilitation Hospital of North Memphis, formerly HealthSouth Rehabilitation Hospital-North, in 2015 as the Director of Human Resources. Tonya joined Encompass Health Rehabilitation Hospital of North Memphis, formerly HealthSouth Rehabilitation Hospital-North, in 2015 as the Director of Human Resources. She holds a Bachelor’s and a Masters of Business Administration from Arkansas State University. She has more than 15 years of Human Resources and Payroll experience in the Healthcare Industry and is involved with several professional organizations including the Society for Human Resource Management. Tonya’s continued focus as a Human Resources Professional is to provide the highest quality of customer service with a sense of compassion, friendliness, and respect. Tyler joined Encompass Health, formerly HealthSouth, in 2009 as an Inpatient Accountant at the Corporate Office. Tyler joined Encompass Health, formerly HealthSouth, in 2009 as an Inpatient Accountant at the Corporate Office. He then moved to Sunrise Rehabilitation Hospital as an Accounting Manager in November 2016 to gain knowledge of Healthcare Industry at the facility level. In January 2018 transferred to Encompass Health Rehabilitation Hospital of North Memphis, formerly HealthSouth Rehabilitation Hospital-North to become the Controller. He is a graduate from Auburn University Class of 2007 and passed the CPA exam in 2012. Janice joined Encompass Health Rehabilitation Hospital of North Memphis, formerly HealthSouth Rehabilitation Hospital-North, in 2007. Janice joined Encompass Health Rehabilitation Hospital of North Memphis, formerly HealthSouth Rehabilitation Hospital-North, in 2007 with more than 20 years of experience in Nutritional Services and Food Management in the Healthcare Industry. She is a Certified Dietary Manager and Certified in Food Protection Professional. Jan’s primary focus for Nutritional Services is process improvement and continually exceeding our patients’ expectations. She has a heart for patients and goes above and beyond to achieve their satisfaction. Gloria was named Director of Business Development for Encompass Health Rehabilitation Hospital of North Memphis, formerly HealthSouth Rehabilitation Hospital-North, in April 2016. Gloria was named Director of Business Development for Encompass Health Rehabilitation Hospital of North Memphis, formerly HealthSouth Rehabilitation Hospital-North, in April 2016. She has since served as Interim Area Director of Marketing Operations for both Memphis locations and continues to develop and cultivate new leaders within the company. Gloria originally joined the Encompass team as a clinical rehab liaison in 2011. With over 15 years of nursing experience, her clinical background includes orthopedic/neurological trauma, medical surgical intensive care and cardiothoracic intensive care. She earned her bachelor’s degree in nursing from the University of Alabama. Her goal with Encompass Health is to ensure rehabilitation candidates receive a higher level of care in order to return to their optimal level of independence and quality of life. Cindy assumed the position of Director of Therapy Operations in 2014. Cindy assumed the position of Director of Therapy Operations in 2014 after serving as Lead Occupational Therapist in Encompass Health Rehabilitation Hospital of North Memphis, formerly HealthSouth Rehabilitation Hospital-North’s Therapy Department. She received her Master of Science in Occupational Therapy from Washington University in St. Louis and has a background in Pediatrics, Home Health, Outpatient and Inpatient Rehabilitation. She has been with Encompass Health Rehabilitation Hospital of North Memphis, formerly HealthSouth Rehabilitation Hospital-North, for nine years, beginning as a staff level Occupational Therapist. Cindy’s goal for each and every patient we treat at Encompass Health Rehabilitation Hospital of North Memphis is for them to progress and return to the most independent life possible. Doug joined Encompass Health Rehabilitation Hospital of North Memphis, formerly HealthSouth Rehabilitation Hospital-North, as the Director of Plant Operations in 2015. Doug joined Encompass Health Rehabilitation Hospital of North Memphis, formerly HealthSouth Rehabilitation Hospital-North, as the Director of Plant Operations in 2015 with over 25 years of experience in facilities and plant operations management as well as fire and life safety. In addition to serving as the Director of Plant Operations, he also serves as the Safety Officer and manages the Environmental and Facility Services departments. He is a Certified Healthcare Safety Professional and a Certified Fire Inspector (TN), Firefighter 1 and 2 (TN), EMT and Emergency Responder to several critical areas of expertise including hazardous materials. He is experienced in several other areas of incident and emergency response as well as construction and facilities management. Doug’s goal at Encompass Health is to create and maintain an efficient, safe, and comfortable environment in our hospital as well as contribute daily to the quality outcomes that we provide for our patients as our team seeks to return them to the highest level of independence possible when they leave Encompass Health. Jennifer joined the Case Management team of Encompass Health Rehabilitation Hospital of North Memphis, formerly HealthSouth Rehabilitation Hospital-North, in September 2014. Jennifer joined the Case Management team of Encompass Health Rehabilitation Hospital of North Memphis, formerly HealthSouth Rehabilitation Hospital-North, in September 2014 and was promoted to Director of Case Management in September 2016. Her professional background includes Mental Health Case Management and Vocational Rehabilitation Counseling/Leadership with two state programs serving persons with physical and emotional disabilities, including blindness. She is a Certified Rehabilitation Counselor and Certified Case Manager with a Master’s degree in Rehabilitation Counseling from the University of North Florida and Bachelor’s degree in Rehabilitative Services from the University of Florida. Jennifer is most passionate about ensuring her patients and their families have access to community resources for the most successful transition home. Debbie joined the Encompass Health Rehabilitation Hospital of North Memphis, formerly HealthSouth Rehabilitation Hospital-North, team in 2015. Debbie joined the Encompass Health Rehabilitation Hospital of North Memphis, formerly HealthSouth Rehabilitation Hospital-North, team in 2015 as Director of Quality and Risk Management. She came to Encompass Health after working with Dignity Health in Quality Management and Clinical Education for 14 years. She yields 40 years of nursing experience to include acute care, home health, and skilled nursing care. She has a Bachelor of Science degree in Nursing and holds a MBA in Health Care Management as well. Debbie has a strong knowledge of The Joint Commission Standards of Participation as well as CMS guidelines and regulations. She oversees Quality and Risk Management, Infection Prevention, Employee Health, Patient Safety, Wound Care, Credentialing, and Clinical Education for the hospital. Her goal with Encompass Health is to see that every patient receives the highest quality of care in order to reach their goals and return to the highest level of independence possible. Debbie is also dedicated to providing a quality work environment for all employees so they may provide the best of care to patients.